Listen to the charming bells toll on the Marylhurst Campus! This one-level, custom home features a barrel ceiling dining room that is the focal point of the house. Decorated with a Mediterranean flair and graceful arches that lead to most rooms, this house is the exact opposite of “cookie cutter”. 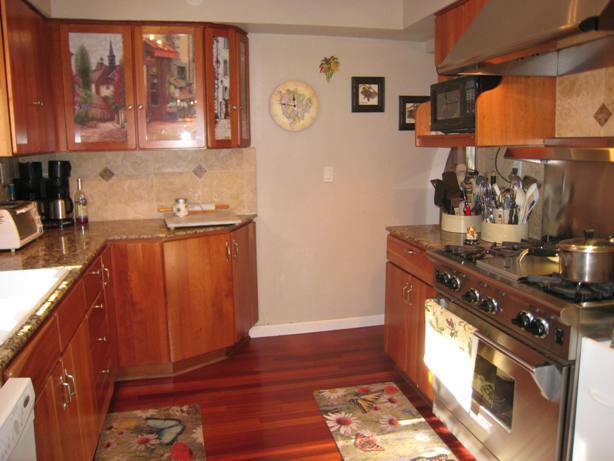 An extensive remodel in 2004, and many more upgrades added since then, make this “older” home a true showpiece. The house had 4 big bedrooms, 2 of which are master suites with full baths. 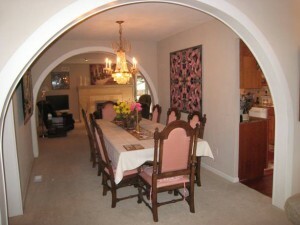 In addition there is a den with built-ins. There is a screened-in Florida room for summer dining. The gourmet kitchen has a commercial-grade Wolf range, granite counters, and custom cabinets with original artwork. With 2448 square feet, the house is big enough for someone downsizing to a single level home who needs room for prized furniture, house guests, and perhaps a live-in relative or care giver. This size of single level living is hard to find in this price range. The house sits on a gorgeous 19,000SF lot that backs to 2 creeks. It is like country living, but close-in to town. A big side yard has boat or RV parking, not to mention abundant parking for entertaining. The fenced back yard is just big enough, but not too big, and includes a separate fenced fruit garden with 8 blueberry bushes and over 100 strawberry plants. Priced at $559,000, this is a very unique opportunity to own a very special home. If you’d like more information, please give me a call! P.S. Full disclosure, this house is about 50′ outside of Lake Oswego in the City of West Linn. It is just South of Marylhurst off of Hwy 43.